Like so many fields of science, forensics relies heavily on the use of animals as human stand-ins. 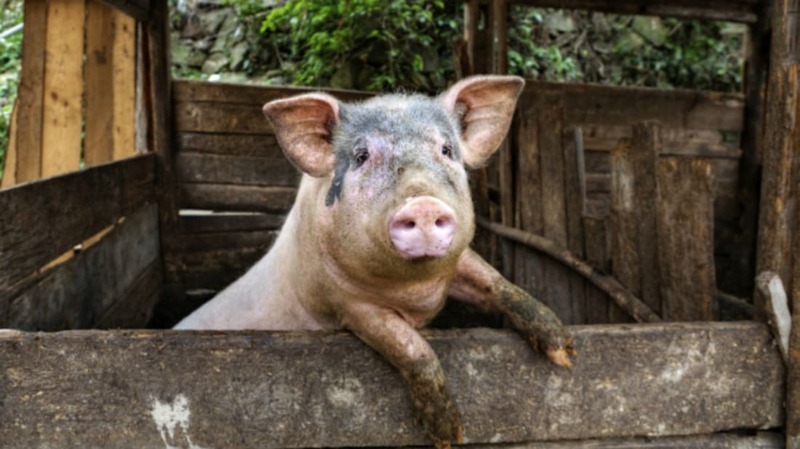 But a new study calls the wisdom of that practice into question, since researchers have found drastically different decay patterns for the bodies of humans, pigs, and rabbits. The scientists recently presented their findings to the American Academy of Forensic Sciences. Our bodies, like every organism on the planet, are in a constant state of decay. Our cells are in perpetual turnover, dying and being replaced. Once we die, that replacement stops, and other processes and actors take over. Bacteria and fungi flourish and spread, gradually breaking down our flesh. Bodies left out in the open attract invertebrate scavengers like maggots and beetles, and vertebrates like birds and raccoons turn up to take away what’s no longer needed. The details of the process are both fascinating and important to understand, especially for the scientists who aid police in investigating deaths. But finding human bodies to study is pretty difficult (if you do it legally, anyway), and so researchers often look to the bodies of pigs and other non-human animals. They found great variation in the speed and manner in which species decayed. In spring, for example, human and pig bodies were fairly well-matched until about 25 days in, when the pig bodies started rapidly turning to skeletons. Rabbit bodies broke down slowly at first, then quite rapidly once the maggots set to work. One rabbit looked fine one day, but was partially reduced to a skeleton 24 hours later. In summer, pigs decayed faster than people and rabbits, turning to skeletons within 12 days. In winter, for obvious reasons, the bodies were insect-free for the first 100 days, but had plenty of visits from larger scavengers. Those raccoons, opossums, birds, and skunks were far more interested in human bodies than those of rabbits or pigs. “This strongly indicates a preference for the humans over the other species,” the authors report. They conclude that human decomposition is a lot less predictable than that of pigs, which is bad news for all those pig studies.